After a series of bugs plagued iOS 11, Apple reportedly decided to slow down on adding new features to iOS 12 in order to focus on improving performance and stability. In general, that strategy seems to have worked, with multiple sites reporting that iOS 12 runs faster on nearly every supported iPhone and iPad, even five-year-old devices like the iPhone 5S. However, it appears that at least one noteworthy bug still managed to make its way into the general release of iOS 12, with users on Reddit, Twitter, and elsewhere reportedly seeing muted or “washed out” colors after updating their devices from iOS 11 to iOS 12. Gizmodo was not able to duplicate this apparent bug. The majority of complaints center around colors generally looking “off” on the iPhone X, with some users theorizing that Apple may have tweaked or adjusted the display profile for iPhone X’s OLED screen as part of the update. Unfortunately, the true cause of the apparent issue has been difficult to pin down, because other changes in iOS 12 such as a new filtering technique (confirmed by Apple senior vice president Craig Federighi) used by Apple to “improve text legibility” on some wallpapers and a new darker shade of gray for folders has lead to confusion between users when trying to identify potential problems. 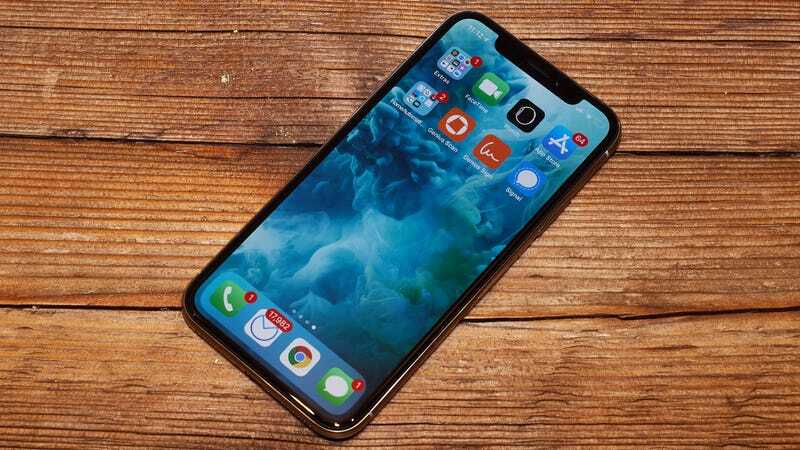 Still, these reports are a bit of a bummer since, as the first iPhone with an OLED display, one of the iPhone X’s biggest selling points was its much wider color gamut and improved contrast when compared to older iPhones with LCD screens. We’ve reached out to Apple for a comment on the matter and we’ll update this story if we hear back. But in the meantime, how has your update to iOS 12 gone? Have you run into any color issues, or have you encountered an entirely different issue? If so, feel free to send us a tip at sam.rutherford@gizmodo.com.